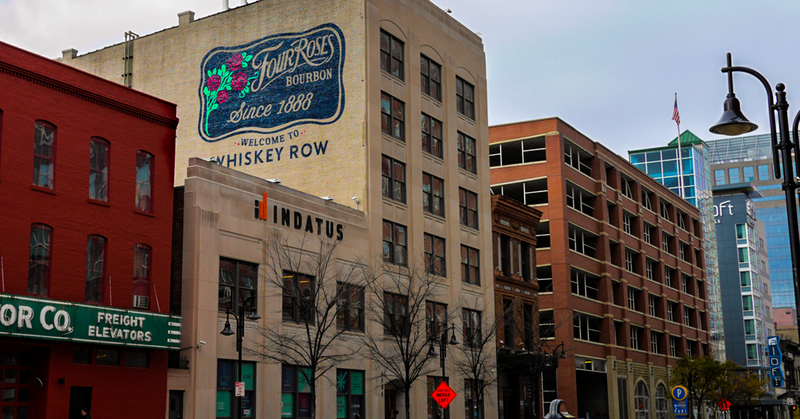 As you may know, last fall we paid tribute to the space on downtown Louisville’s Main Street, known as Whiskey Row, that was once home to our founder’s company, The Paul Jones Company, with a vintage Four Roses mural. 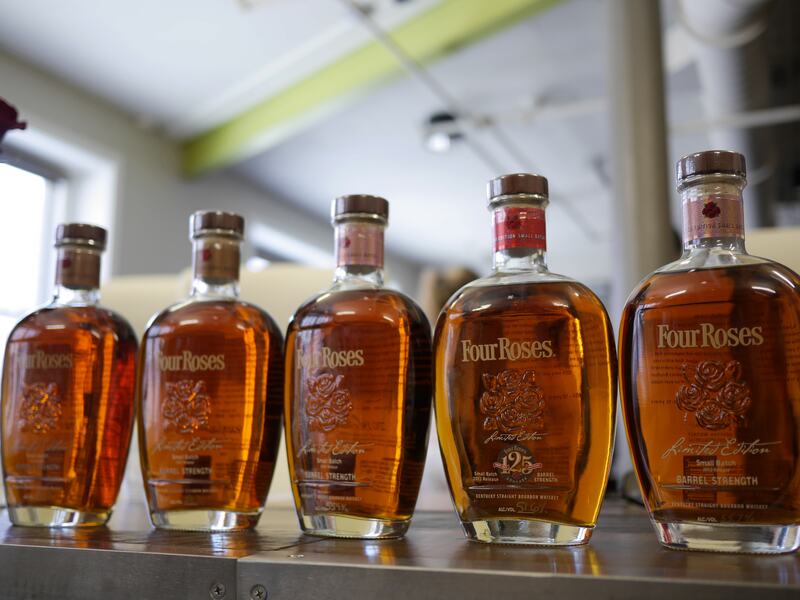 From 1884 to 1922, the building at 136 East Main Street was home to The Paul Jones Company and Four Roses Bourbon. The company originally used the facility as a gathering and distribution center. Although there is no indication of any dedicated office space in the structure, it is believed that Paul Jones conducted all of his business in this location from the time he arrived in Louisville until his death in 1895. 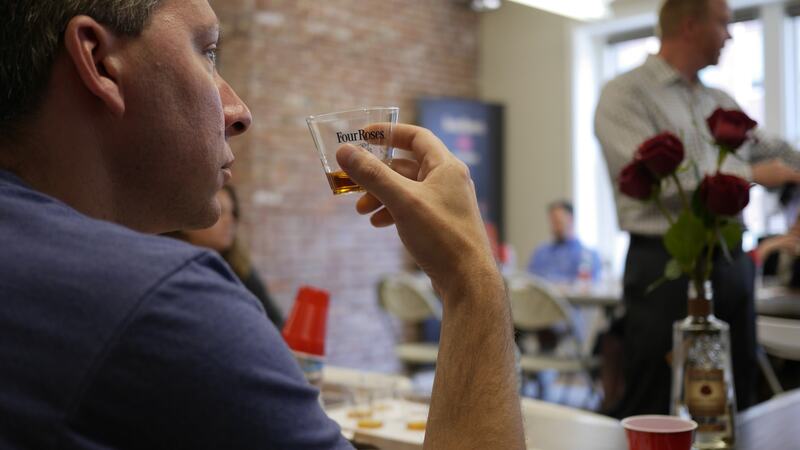 Over time, Whiskey Row and its street numbers have changed and today that same building is located at 118 East Main Street and has been transformed into offices for local tech companies Hellospoke and RealPage. 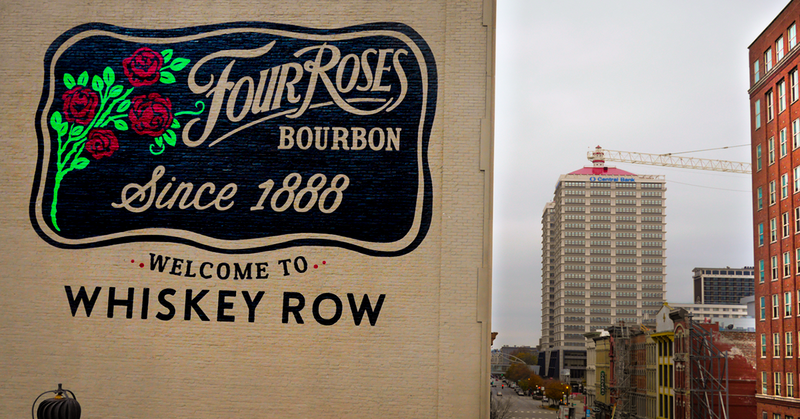 The Gateway to Whiskey Row building is a tribute to Louisville’s longstanding history in the whiskey industry and a gateway to Louisville’s historic Whiskey Row. 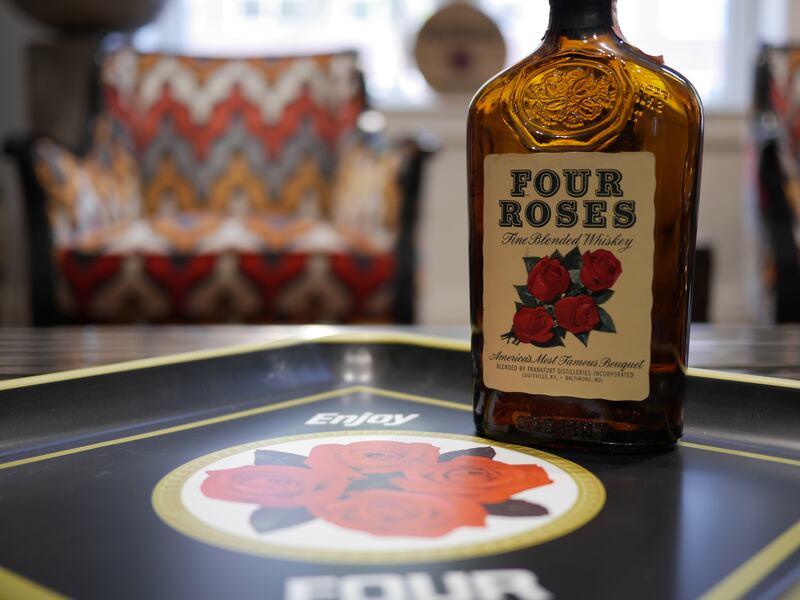 Although our founder’s company, the Paul Jones Company, no longer resides in this space, there is still very much a Four Roses presence. 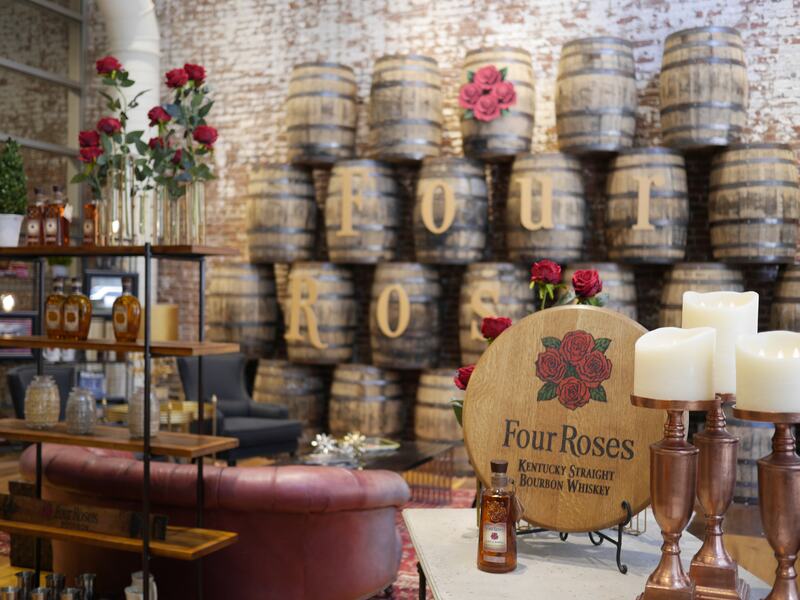 In addition to the mural that adorns the side of the building, the Gateway to Whisky Row building lobby has been transformed into a Four Roses display as well, complete with Four Roses antiques, bourbon bottles and a bourbon barrel display. 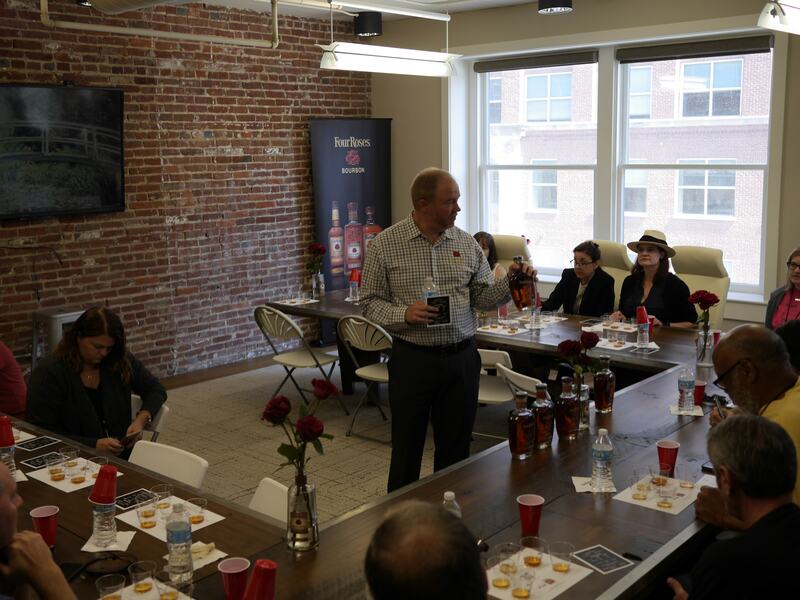 We recently spent some time there during the Kentucky Bourbon Affair Four Roses Flashback event, offering people the opportunity to take a trip back to where it all began while mingling with Master Distiller Brent Elliott and Senior Brand Ambassador Al Young, and sipping on some rare Bourbons and past limited edition selections.